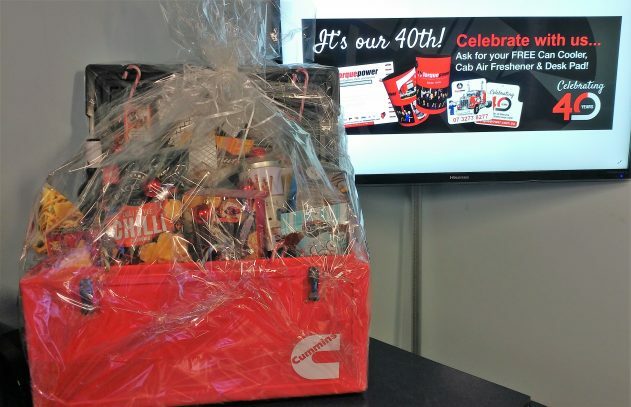 Alton Iron’s Diesel service has been operating for 10 years and for the whole of that period has partnered with Torquepower in providing genuine Cummins parts for their workshop customers. Irons Diesel purchased and installed a Torquepower Manufactured ISC 260HP Long Block to a 2003 Sterling. Torquepower long blocks provide a cost effective option to rebuilding your old engine reducing down time by as much as 60% on a standard in chassis rebuild . Torquepower long blocks also give you piece of mind with a comprehensive 12 month/160,000km parts and labour warranty. 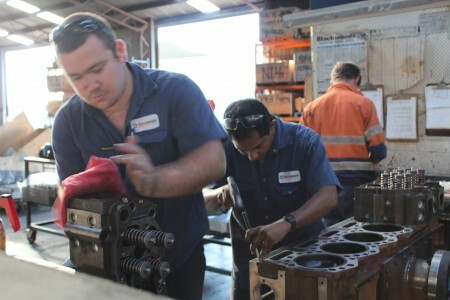 We have supported the owners and operators of Cummins powered equipment right across Australia and the South Pacific since 1978. Hung Nguyen is one of the good guys. A prawn fisherman who lives in Darra, but spends most of his time out on the water in Moreton Bay and even further, deep sea fishing. His trawler is 45 foot “Betty”, moored at Hemmant, and now powered with a new NT855 turbo charged model from Cummins, and set up by Torquepower. 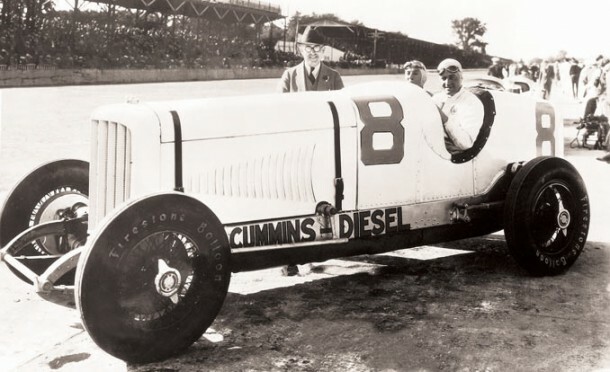 “I had the new engine set up for more power and a longer life. I like Cummins engines, they have plenty of low end torque, and work as hard as I do! 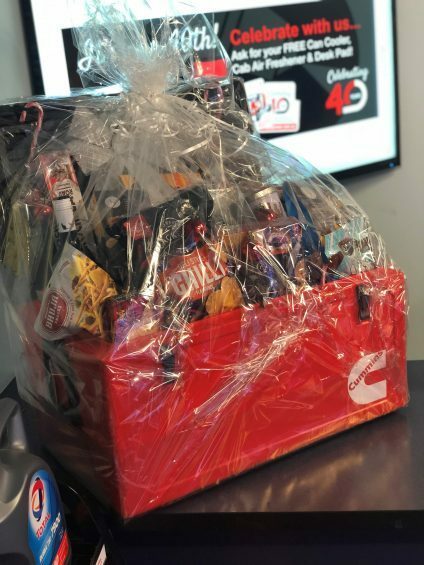 Torquepower is your Cummins engine specialist. “We’ve been travelling since 2004. We live at Mount Tamborine, and haven’t travelled much in …the last 18 months as we’ve been building a house, but on June 4th we are heading over to WA. 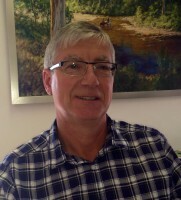 “We have had a lot of fun prospecting for gold in WA, Victoria and now in Queensland near Warwick. This trip we will have our little 7 year old grandson with us, so wife Julie will be the school teacher too. Get me to the Track on time ! WINNING depends on GETTING THE RACECAR TO THE TRACK ON TIME ! 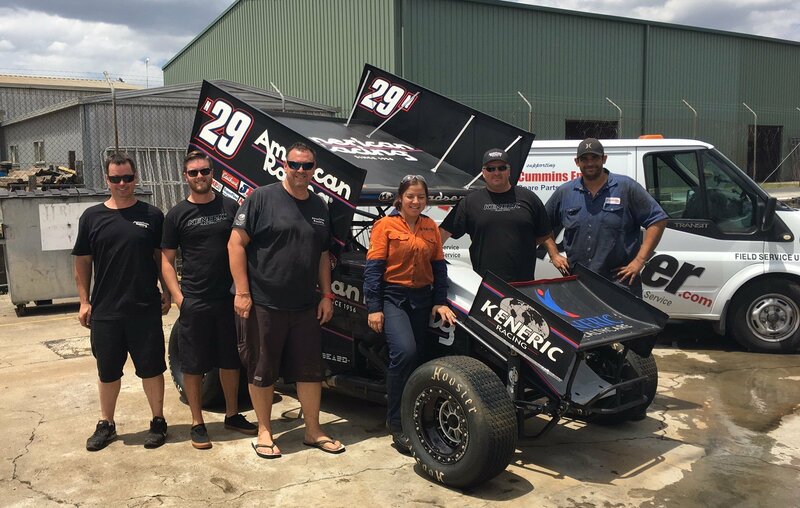 Transporter engine troubles ahead of a meet at Archerfield on Saturday night and then in Sydney the next day don’t leave much time for error… after a FUEL PUMP FAILURE, AMERICAN RACING’s Sprint Car Team couldn’t find anyone to help them quickly with their HINO Transporter, so setting aside the fact that we are predominantly Cummins specialists, we were happy to help in their time of need – diagnose and repair at speed, and the race truck was then off and … well, Racing ..Good Luck Team ! “We’ve been dealing with Torquepower for quite a few years now. I used to talk to Director Ken (Roberts) a fair bit. They’ve been very precise. The biggest issue with business today is to talk to someone who knows what they’re talking about. There may be other people out there cheaper than Torquepower, but you get what you want, when you want it! By the time you’ve mucked around with the wrong part and the wrong info, its cost you a lot of money, so I prefer to talk to Justin and Diego at Torquepower parts. Thanks to Torquepower, we have a detailed report and a step by step plan to ensure the D65 and the excavator are functional and productive in the very near future. 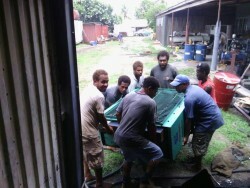 There are many opportunities for Torquepower in Papua New Guinea. I am personally satisfied with the results of Torquepower’s inclusion.” Robert Dellman, Operations Manager ,PNG Concrete Aggregates. From Killarney to Port Moresby, the adventure continues. In a magazine story, we reported on a Torquepower field service technician traveling to the gorgeous Melrose Station at Killarney to repair a Komatsu D65 Bulldozer. Far away in a very hot and humid Port Moresby, Papua New Guinea, PNG Concrete Aggregates Operations Manager Robert Dellman read the Blues Country story, thoughtfully looked over at their own inoperable D65 and called Torquepower. So began a week-long adventure. Torquepower’s Neil Bird knew he was far from home when ten minutes after arriving at the worksite, his backpack with the communication leads between laptop and the engines he was there to diagnose went missing. After a 500 kina ($260 ) reward was posted, the items were found and returned next day and the work began. Neil optimistically accepted Roberts challenge of bringing back to life a Hyundai LC450 Excavator with a failed ECM along with the main objective of the visit, the D65 dozer. PNG Concrete Aggregates were originally using the excavator to dig out rock from one of their 4 quarries, which produce both mountain and river gravel. They run a surprisingly sizeable operation. The majority of their customers are civil construction companies building housing projects, offices, supermarkets, concrete pylons, an overpass/flyover project, a sports stadium and a six lane freeway in preparation for the 2015 Pacific Games. 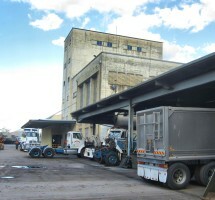 They also deliver ready mixed concrete all over Port Moresby. With a fleet of over 80 heavy equipment vehicles, maintenance is always going to be an issue. The alarms went off, and we rang Torquepower to sort it. They got us going quickly, definitely good qualified service. The good thing is, you can even ring Torquepower after hours and you still get great service. It’s never good when your engine overheats in your tractor, your truck, or the pump, but when you’re 200 nautical miles out to sea, it really can cause you some anxiety. 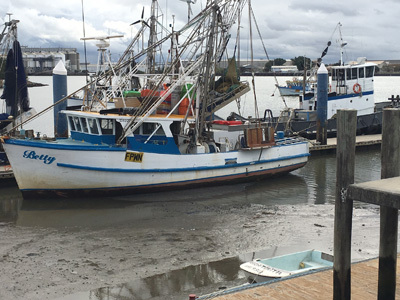 Crabbing and estuary fishing has been in the Lee family since 1951. Today Peter Lee heads up the family business, the Lee Fishing Company in that beautiful part of Queensland we know as Tin Can Bay. 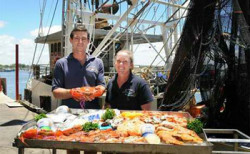 His fleet of trawlers catch and process fresh King and Tiger prawns, sweet Spanner crab, Scallop, Sandcrabs, Red Spot Crabs, Moreton Bay bugs, Balmain bugs and Champagne Crayfish. Seafood that is landed by the trawlers is processed, graded, packed and frozen at sea and unloaded from sea on a fortnightly or monthly cycle basis to the factory at Tin Can Bay, and transported all over Australia and exported to overseas markets. Charleville old girl is a star – Jim Williamson. In 1959, Ted Phelan, well known Charleville sheep farmer, bought a brand new International R90 prime mover in Brisbane. The truck was to be used for stock transport and pull three 32 foot two-deck sheep trays. Back then you could only buy the International with a big thirsty petrol engine. 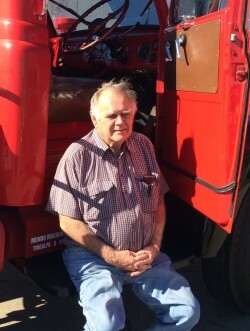 Les Palmer, the original driver, delivered the new truck down the road to Cummins Diesel Sales & Service (then a Blackwood Hodge company) for an upgrade. 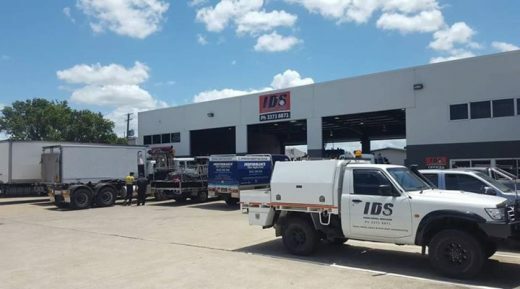 CDS&S pulled out the petrol engine and replaced it with a new and powerful Cummins C464-160 HP Diesel engine. 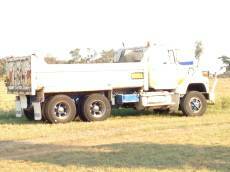 In 2003, 44 years later, the lovely old truck was found in a field on a property at Wyandra south of Charleville by Bill Brooks the local mailman. The old girl had been abandoned and had even been underwater in an earlier flood. But today it is now beautifully restored – a credit to its new owner Jim Williamson. What’s in a name?” Well, says Trevor, it was either going to be Postman Pat (and that’s been taken !) , or Noddy ; complete with Postman Pat’s black and “ not so white” cat. 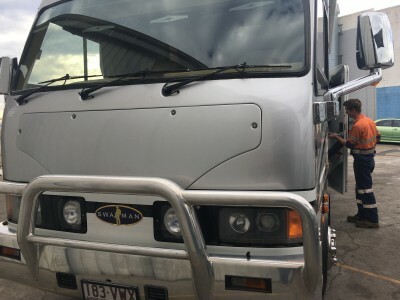 This stuffed cat has travelled more of Australia, than most people dream of, perched on the front bulbar of this beautiful 2007 International. The Cummins ISX 550 has powered through hundreds of thousands of kilometers to Cairns, Darwin, Melbourne and Sydney. With a huge Facebook following as Noddy the Post Master, Trevor’s posts about life on the road are insightful and funny. His Anzac Day post “Get to an Anzac Day Dawn service “was picked up by Channel 9 and gathered 1,600,000 views. He brought the International to Torquepower today to see about a clutch fault. 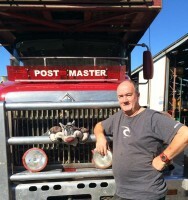 Mick, the owner, has been bringing his rigs to Torquepower for 20 years. The exciting part for us at Torquepower is this truck has 2.3 million kilometers on the original motor, and records an exceptional fuel economy of over 2.3 kilometres per litre . That’s the Torquepower service difference ! Bertrand’s look after a range of industry needs throughout the Pacific, including mining, stevedoring and farming. That one is close to Gerard’s’ heart. He won a scholarship in the US studying mechanisation in farming. On the weekend Gerard and his Australian-born wife escape to Aratula. It reminds him of the Loire Valley in France . He grows sorghum and raises cattle and has planted an amazing 17,000 native trees. Trent Semple ‘s Paddock Truck gets a new life at Moura. Trent Semple is a hard working diesel fitter at the Dawson Mine at Moura. In his “spare” time, he helps his parents run 1800 head of Santa Gertrudis cattle at Calool, an hour and a half south of Rockhampton, and also is in partnership on his own property. So when Trent takes the time to write a letter, it’s pretty special! “I’ve only got a week’s work to finish the wiring, and I’m all done, but it’s hard to get a spare week. I will register it, and we’ll use it to move gravel around, make roads, and put gravel around the troughs. What will I do when finished? No, I won’t cerebrate,” Trent laughs, “I’ll just start another project”. “I really hate our throwaway society “says Trevor Haley, Workshop manager for Beaumont Transport. After many years with the Ipswich transport icon, he still loves coming to work, and is happy to see the old four story concrete and glass power station Beaumont’s use for their Tivoli depot has had a second life. 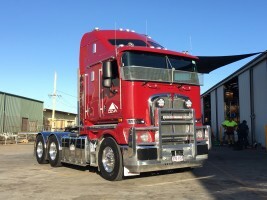 Established in Ipswich in 1970, Beaumont Transport Pty Ltd has grown from a small two-truck operation to a major industry force employing more than 220 people. Beaumont’s have served the coal industry for more than 3 decades with an extensive fleet of prime movers and trailers, including “b” doubles, road trains and body and dogs, end loaders, bulldozers and excavators. Beaumont’s Tivoli office is historical gold. Based in the old Power Station in Tivoli, and originally called Abermain, it was built in 1952-3 at a cost of $2 million. 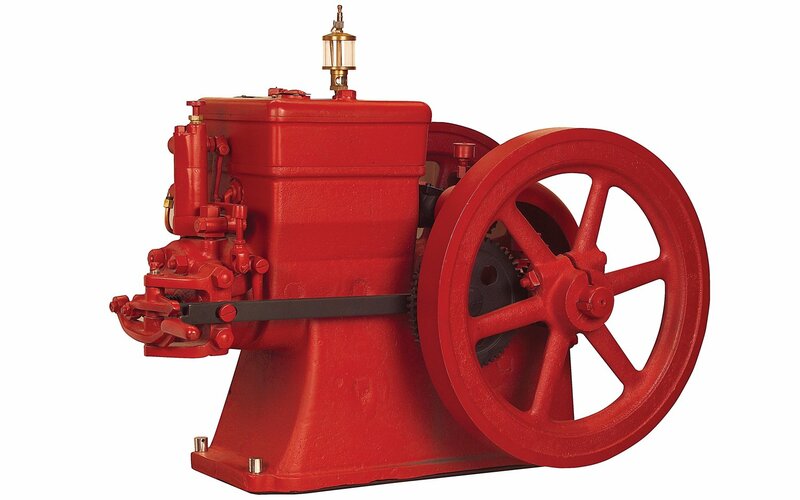 It comprised two Babcock and Wilcox boilers supplying steam for a 10,000 kilowatt turbine and alternator. It met emergency demands for power in the winter of 1953 and then became part of the Southern Electric Authority’s generating system, one of the first power stations in Australia in to use a cooling tower system for the extraction of heat from condenser water to enable its re-use. The station stood adjacent to the Haighmoor-Tivoli Colliery and was the first SEA power station to be located on a coalfield, a practice that was continued with Swanbank. The power house ceased operation in 1967 and was placed in reserve. Of the original structure, only the chimney is no longer standing. Richie’s experience under the bonnet has also led to the establishment of a fully equipped workshop at the company’s Tivoli headquarters to service and repair the entire Beaumont fleet, which Trevor is pleased to manage.